There is no doubt that Turkey has become one of the leading countries in the field of hair transplant, due to the skill of specialist doctors and to use the latest technology of hair transplant in the world, which gives guaranteed results. In addition, the cost of hair transplant in Turkey is good if compared with the quality of services available and Cost of hair transplantation in other countries. We at CLINICANA Hair Transplant Center in Istanbul Turkey offer our patients the latest methods and techniques that modern science has reached in this field. 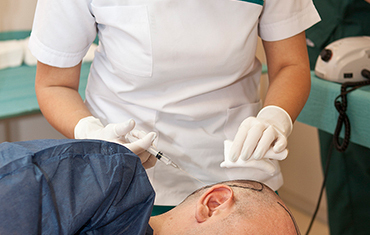 Hair transplantation is currently considered one of the most prominent techniques. 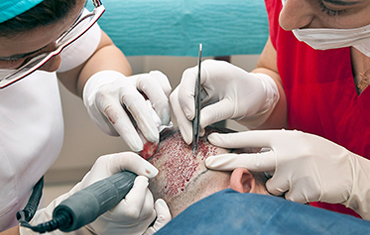 This method is based on the extraction of hair follicles from areas called the donor areas, which are resistant to the factors that cause hair loss and transfer to areas of light hair or baldness and called areas received by special tools and in a way that leaves no lines or scars as in the old methods used where hair transplantation Involves removal of a part of the scalp followed by bandages and surgical threads that have left painful and painful scars. This technique is considered painless and total healing takes place after 7-8 days of hair transplantation. Clinicana hair transplant center in Istanbul Turkey has many experts and specialists in the field of hair transplantation. Our team is ready to provide advice and medical advice for your case at any time and around the clock. You only have to send us pictures of your condition online. Our medical team will evaluate the situation and give an opinion as to whether the drug treatment is possible or that hair transplantation is necessary. The blood tests are then performed and discussed before the operation one day. All the stages are explained to the patient and he is informed of all the steps of the hair transplantation process by picking the grafts in our center before starting the procedure. The procedure is also preceded by some preparations where the patient's hair is shaved by the machine and the patient's clothes are changed in sterile clothes and the vein is also opened to give the necessary drugs and syromates during the hair transplant process. 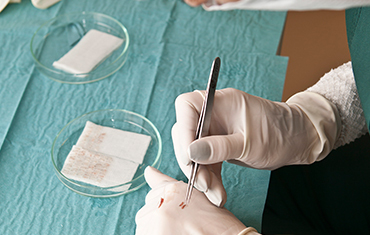 At this stage, the follicles will be extracted from the backside of the head (called the donor area). The advantage of this area is that it is not affected by the hormone responsible for hair loss in the rest of the head. The excision stage begins by anesthetizing the posterior region of the head, which is the hair bank, local anesthesia, and the anesthesia continues for 5 minutes and there is a slight pain confined to the needles. This process is performed by means of an electron extract resulting in micro holes (0.7-0.8 mm) in diameter. This is the advantage of this method. It produces very small, invisible and quick healing holes. These holes quickly heal the next day without leaving any disturbing effect. At this stage, the patient is laying on the face on a special bed to perform hair transplants but without feeling any pain. This stage takes 2 - 2.5 hours depending on the number of grafts to be picked up. After the extraction, the area is sterilized and covered. The number of follicles that can be obtained is proportional to the intensity of the hair bank (donor area). The more plentiful the number of follicles extracted is. At the end of this stage we have obtained the bulbs required for the hair transplantation process and it is possible to determine the percentage of single,bilateral and triglycerides, where they are placed in a nutritious solution to keep the follicles in the appropriate environment until they are cultivated. How is the front line of hair determined at the clinicana hair transplant center in Istanbul? The front line of the hair is the most important stage in hair transplantation. The natural line of hair begins after the last muscle layer when eyebrows and eyebrows are raised. The patient is asked to raise the forehead upwards so that the natural line is drawn in his current age. It was 5 years, 10 or 20 years ago, because the front line is linked to the muscle layers in the head, which in turn rise up with age. This means that the front line will rise with it and this should be taken into consideration while choosing the new front line of the hair to get the natural look you want، We at CLINICANA Hair Transplant Center in Istanbul are well aware of this fact, so our medical staff is very interested in these fine details which will give amazing results to satisfy the customers' ambition to get natural and healthy hair. After the front line is drawn, the areas where the hair will be very abundant are chosen to give the natural appearance and to restore the hair density of the target areas. After discussing the front line and taking all steps, a local anesthesia for the area, which takes a maximum of 2-5 minutes, The client will never feel the pain of a few simple pits quickly disappear. Or opening the microscopic follicles where the follicles or hair implants are placed, this stage takes between 40 - 90 minutes in which the patient is lying on his back. What methods are used to open channels at the clinicana hair trans? And how is the choice? What are the advantages of the Birkutan method used in the clinicana hair transplant center in Istanbul? What should be considered when opening channels? Does expertise have a role at this stage? There are two important factors to consider during the opening of the channels are the angle of AC front line and bend angle during the opening of the microscopic pores, as any defect in one of these angles produces an abnormal appearance and here comes the role of experience. 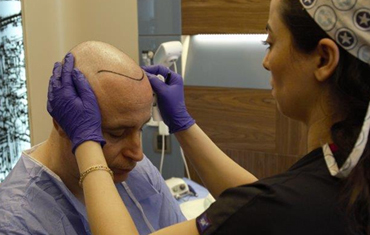 Through the skill, the experience of the medical staff at CLINICANA Hair Transplant Center in Istanbul, the micro-channels are opened taking into account the direction of growth of the hair, where the examination of the growth of the hair before the opening of channels and give a certain angle or degree of curvature fixed to open the channel to maintain the normal growth of hair. The channels are opened from left to right and given a certain degree of tendency to match the normal growth of the hair, which gives a natural appearance when hair growth makes it impossible to know. Whether the person has performed the hair transplant or his natural hair. The corner is identified and the opening of the first channel of The first baldness area in the left section and then the channels are opened in line with the hair line. In the absence of expertise to open the channels are obtained normal result and the hair grow in different directions, leading to the knowledge that everyone has been a hair transplantation process and that his hair is not normal because its shape is not. Does the client feel pain at this stage? The CLINICANA HAIR TRANSPLANT CENTER does not feel any pain at this stage. On the contrary, during these steps, you can relax, listen to music, read books or even watch your favorite movie. This stage is the last stage of hair transplantation in CLINICANA HAIR TRANSPLANT CENTER ISTANBUL TURKEY and the patient is lying on his back. 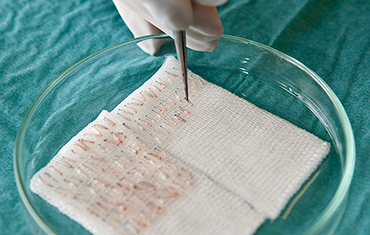 This period is from 2 - 3.5 hours, where the duration of the number of implants will be increased as the number increases but a maximum of 3.5 hours Here the expertise of the clinicana center stems in the cultivation of hair where the hair follicles are placed in the front line to give the natural appearance as not It is recommended to grow vesicles that give 2-3 hair in the front line because it gives an annormal appearance and it seems clear that the client has performed hair transplantation because it looks like natural hair. After the front line is finished, the bilateral and triangular follicles are placed in the upper and posterior regions of the head to give higher density in these areas. After the completion planting of all the follicles, a thorough examination and inspection of the entire area is carried out from the front line to the back where this process takes 15 minutes after which the head is washed and cleaned with sterile water to remove the effects of the operation and cover the back area sterile gauze and the cultivated area remain without any coverage until Affected seedlings are affected. After the completion of the hair transplantation, the validity of the vital signs of the customer, such as pressure, is confirmed. The customer can then return to the hotel directly and rest from the operation. Find or strengthen the front line to form a permanent frame for the person's face. Secure the coverage of areas of weakness or baldness of the scalp through hair transplantation at least up to the point of separation located at the top of the head. Give sufficient density in the first hair transplantation session so that the resulting shape will be normal. 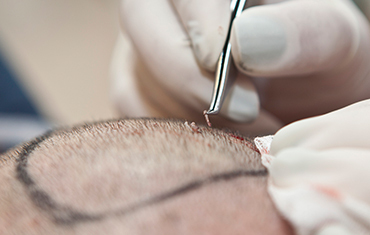 In the first hair transplantation process, each scalp area requiring cover must be implanted and the hair restoration process is done as soon as possible. Hair transplantation should not take place in several sessions, as additional sessions may be necessary in the future to add density or in anticipation of future hair loss. Therefore, everything can be accomplished during a single hair transplant session. In general, we need 10 to 12 months to see the full results of hair transplantation. If you want to do a second hair transplant, you should decide only after the growth of the hair resulting from the first planting process and after the hair reaches the length of the hair allows the patient and the doctor to make the cosmetic decision through the place of additional grafts.